Godzilla not only looks great in this movie, but he gets more screen time than any other movie in the entire series. 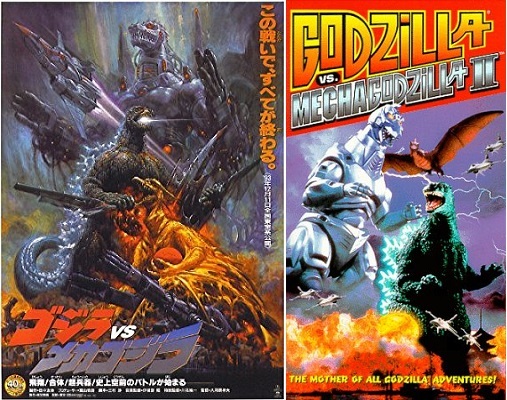 Baby Godzilla looks impressive, and the Azusa Gojo character is good. Brian and Nate address topics, like how stuff explodes when Rodan flies over it, how Kazuma seems to be a Japanese Rick Moranis, and how Miki Saegusa needed to be reminded to use her psychic powers. Our related topic is the relocation of Marine Corps Air Station Futenma. Website design by Brian Scherschel. “Torii Gate” Banner by Kevin Geary. Copyright © 2017-2019 Brian J. Scherschel. All rights reserved.